Multivitamin iron free supplement protect growth and maintenance of people's body systems according to their age. The vitamins and minerals in this formula play many important roles in the body: antioxidants to protect fats, cells, and DNA, coenzyme precursors for energy production and metabolism, and cofactors for hormones and enzymes which regulate body processes. 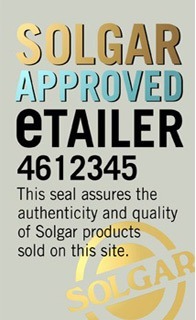 Solgar supplies several different multivitamin supplement products such as Solgar Solovite (Iron Free) 60 Tablets.